Our community is has 7 designated reserves – Front Beach, Kotare, Margaret Place, Tutaritari, Village Green, Pa Road, and Wigmore East & West. The use and management of the Reserves is controlled by TCDC in accordance with the Reserves Management Act. If you wish to read the detailed TCDC Management Plan, for all reserves in South Mercury Bay, click here. The Mercury Bay Reserve Management Plans are being updated in 2018/19. Go here to contribute your ideas on how they should be updated. This reserve is located at the end of Hahei Beach Road and includes the car park. The reserve adjoins a beach front crown reserve administered by DoC. TCDC manages the grass strip and is in process of taking over management of the land administered by DoC. There are significant archaeological midden sites at this reserve. The car park has become unmanageable with the increase in visitor numbers, exacerbated with long term parking for visitors using the concession activities at this end of the beach. 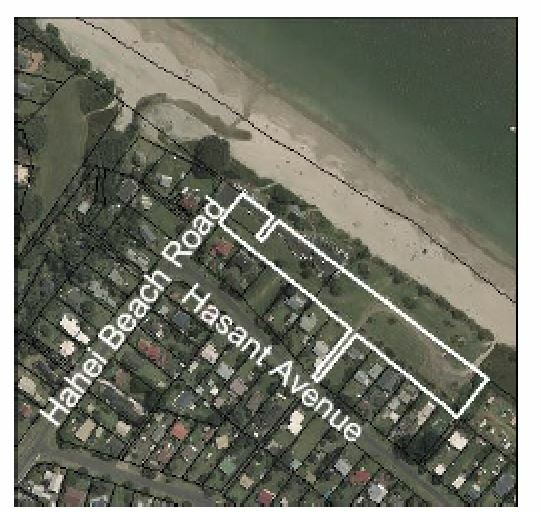 There are traffic management plans being developed for the Carpark off the end of Hahei Beach Road with a pick up/ drop off designation and pay and display. There is a recommendation that the Beach Reserve off Harsant Avenue be designated free parking for residents. The toilet block is old, outdated and inadequate to cope with the numbers of visitors. The public barbecue needs a roof. Traffic Management pay and display in the car park off the end of Hahei Beach Road. Free car parking for residents only in the car park off Harsant Avenue. No more concessions off the beach and limit of number of boats allowed per concession. A major upgrade of the toilets/ changing room facilities. To continue concrete path to the toilets, cutting back towards the Pa to provide accessible access on to the beach. Remove water tap for washing feet as often left on and wastes water in summer. Plan more trees for shade, and asking why the other trees were cut off recently? The Reserve land was set aside to allow for an area for recreation and sport. The sports field and associated toilet / changing facility was established after recommendations from the last Reserve Management Plan. 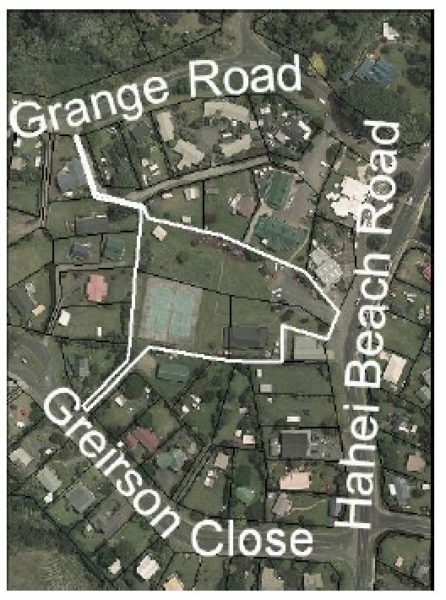 A drainage issue at the entrance off Hahei Beach Road. A range of utility services and a St Johns station are in the main Carpark and there is an open drain separating the Carpark from the sports field, toilets and proposed memorial garden. Work is underway to develop a memorial garden in the NE corner of the Reserve. Signage and all-weather walkways. A line of sight marker for exit on to Michelle Lane. Fix the drainage off Hahei Beach Road to allow for all weather walking. 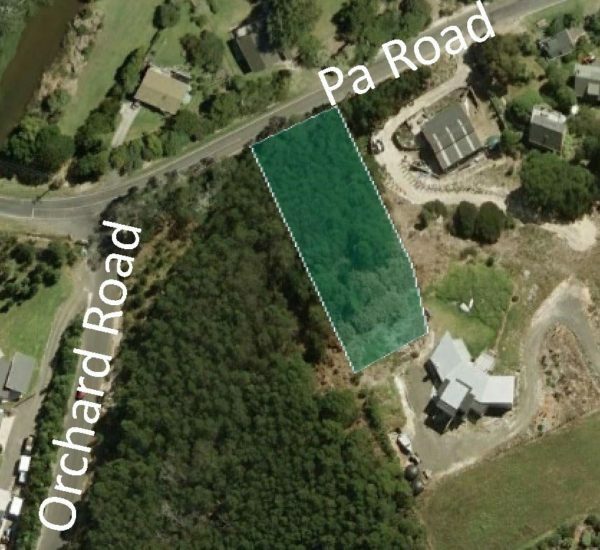 Provide a foot bridge from the Eastern end of the Carpark onto the open area of the Reserve with a path going past the toilet block and on to the memorial garden. Establish clear signage for walkers. Directions to the shops, Cathedral Cove, Hahei Beach and the Pa.
Support for the memorial garden. Open the toilet block permanently for public access. Clean up esplanade reserve on the camp boundary so it can be mowed. lights for the football field in winter for training. can be attached to the building, can be portable, can be just an all-weather power point for plugging them in. Drinking fountain by toilets on reserve, rubbish and recycling somewhere there as well. This Reserve provides a scenic view of the Hahei Beach area. Access to the reserve is up a steep hill from Margaret Place or via Esplanade Reserves of Wigmore Stream. Access from the beach is not possible due to steep cliffs. The Hahei Reserves group have tried to plant the cliff edge to protect from erosion and as a safety barrier to keep people from the cliff edge as there was a fall several years ago. This has met with some resistance from adjoining property owner. Maintain weed control on cliff edge and continued planting of low growing species to protect cliff edge and pohutukawas. Install boundary markers to define private property. 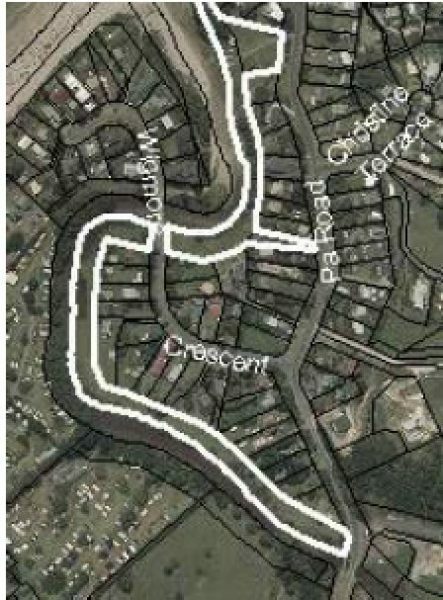 Develop a walkway along esplanade reserve “ did this happen? what was the actual plan here? Parts of the Reserve can be wet due to overland drainage from surrounding properties. Maintain beach access and provide a foot bridge and walkway on the northern boundary of the Reserve to take walkers along and under the pohutukawas to get on to the Cathedral Cove walkway at the Western end of Hahei Beach. This will take walkers off the beach and away from the Dotterel nesting. The walkway from the Reserve up to Tutaritari Road and further on to Grange Road and Cathedral Cove needs good signage and often becomes wet and overgrown. Plant to protect stream edge. Provide a foot bridge across the stream and a walking track on the northern boundary for walkers walking from the end of Beach Road to the Cathedral Cove track off the western end of Hahei Beach. Establish good signage to direct walkers. Regular maintenance of the track up to Tutaritari Road. Reserve hosts a variety of invasive weeds. No development but the encroachment of weeds/ agapanthus need to be cleared from the drains on the road edge. The Hahei Reserves group have planted and maintain the bank road verge. 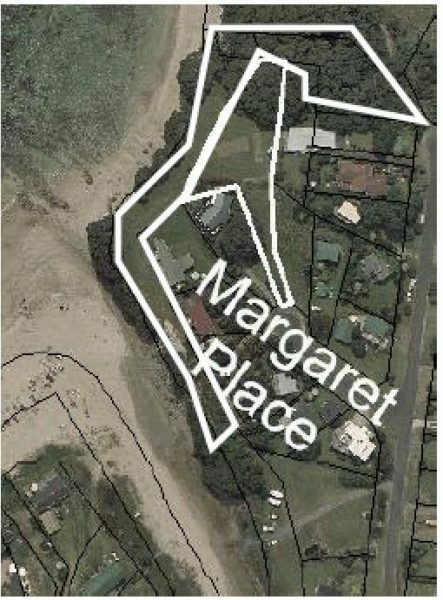 The Esplanade Reserve begins at Pa Road and follows Wigmore Stream to the beach forming the Esplanade strip for the Margaret Place Reserve. More recently an Esplanade Reserve was created from the bridge on Pa road along the edge of the subdivision at the start of Orchard Road. The Hahei Reserves group have planted the Western side of this reserve adjacent to the sewage plant. This could eventually become a walkway to access the beach from the 100acres subdivision. Encroachment from adjoining property owners. Toilets on the “Sunny Dunny” Reserve are outdated and inadequate to cope with increasing visitor numbers. Water quality of Wigmore Stream. Manage encroachment from adjoining properties. Upgrade toilet facilities on the Margaret Place Reserve. Provide a public barbecue, picnic tables and seating, drinking fountain, bike rack. 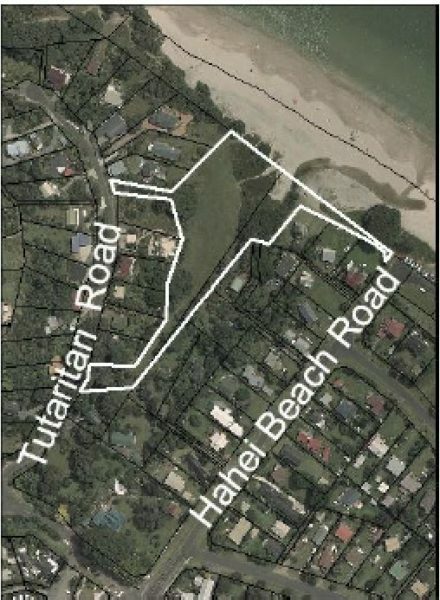 Address drainage issues on Esplanade Reserves and provide all weather walking access with appropriate signage to Hahei Beach and the Pa hill walk. 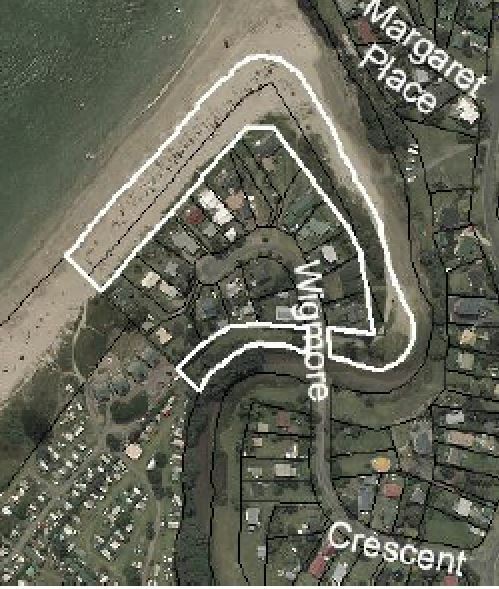 These reserves provide access to the beach along the north side of Wigmore Stream from Wigmore Crescent bridge. The sea has eroded the coastal edge of these esplanade reserves. Vehicles, boat trailers, concession holders access the beach alongside Wigmore Stream. Parking on the foreshore area can be an issue during peak visitor periods. The stream can flood in periods of high rain. 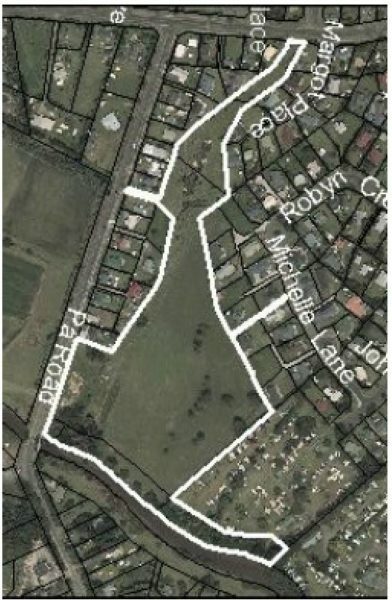 Encroachment onto Reserve from adjoining properties and poisoning of pohutukawas on the reserve. Stop encroachment and protect pohutukawas. Limit number of boats for concession holders. Enforce access of vehicles on the beach, e.g. Only for launching and retrieving boats. The Hahei Reserves group have established a safe walkway onto the beach adjacent to the vehicle access. Support endeavours to clean up water quality of the stream. Stop storm water entering the Wigmore stream from properties. Continue planting of stream banks etc in conjunction with Environment Waikato>? Was this done?